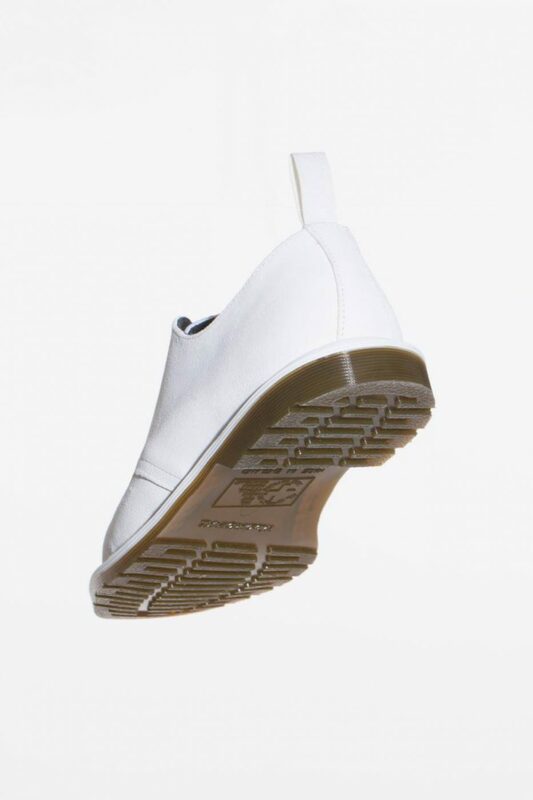 Our debut collaboration with Dr. Martens, boasting a reworked custom version of their 3-Eye Steed with an upper comprised of British water-repellent, Repello suede, along with a custom padded tongue in nylon ripstop. Handcrafted in England. 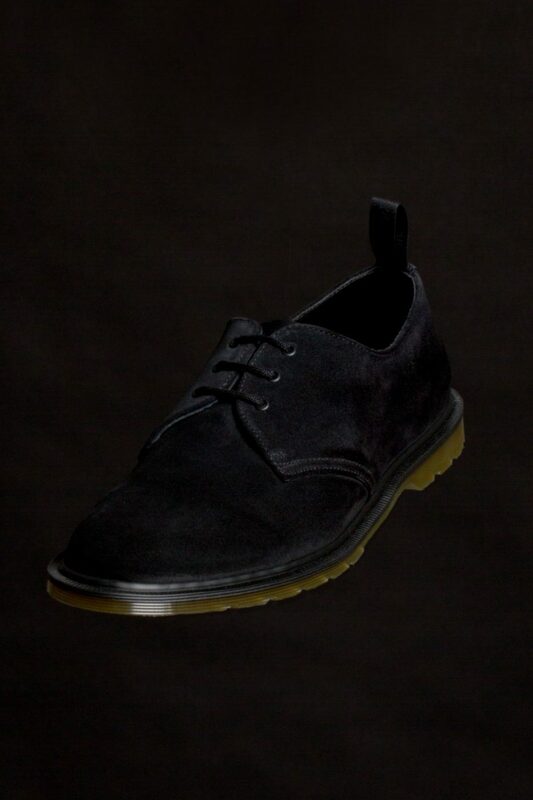 3-Eye Steed shoe, made in collaboration with Dr. Martens. Features padded tongue in nylon ripstop and interior nylon straps between tongue and insole for increased comfort. 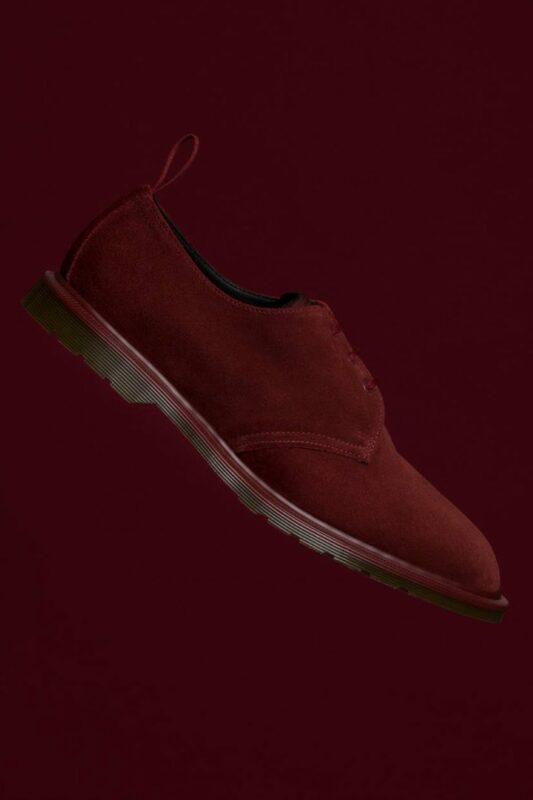 Upper made in water-repellent, Repello suede atop Dr. Martens traditional Airwair, air-cushioned bouncing sole. Water-resistant Goodyear welt. Produced in limited quantities.